Everything changes on the day that Josef confesses a long-buried and shameful secret-one that nobody else in town would ever suspect-and asks Sage for an extraordinary favour. If she says yes, she faces not only moral repercussions, but potentially legal ones as well. With her own identity suddenly challenged, and the integrity of the closest friend she's ever had clouded, Sage begins to question the assumptions and expectations she's made about her life and her family. When does a moral choice become a moral imperative? And where does one draw the line between punishment and justice, forgiveness and mercy? 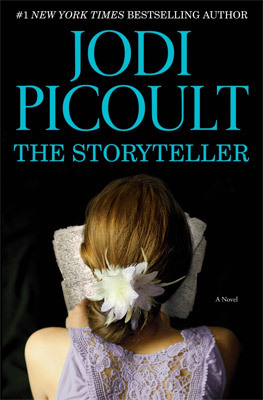 Jodi Picoult is the author of nineteen novels, including the #1 New York Times bestsellers Sing You Home, House Rules, Handle With Care, Change of Heart, Nineteen Minutes, and My Sister's Keeper. She lives in New Hampshire with her husband and three children.